Barcelona are reportedly set to press ahead with deals for Adrien Rabiot and Jean-Clair Todibo who could both arrive on free transfers this summer. 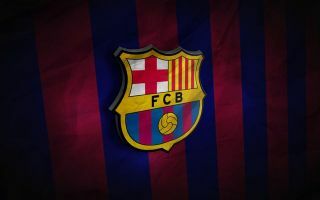 The Catalan giants remain on course for a successful season this year, as they continue to lead the way in La Liga and have advanced to the knockout stage of the Champions League. However, to maintain that level of success and build a long-term plan, they are seemingly continuing to target young stars in the transfer market to follow on from the signings of the likes of Ousmane Dembele, Arthur and Clement Lenglet. According to Mundo Deportivo, the reigning Spanish champions have now set their sights on Paris Saint-Germain midfielder Rabiot and Toulouse defender Todibo, with the pair potentially available to be signed on free transfers this summer. However, it’s suggested that the possibility of them arriving for a cut-price fee in January can’t be ruled out yet, but Barcelona are free to now begin talks over personal terms and can merely inform the respective clubs of their intentions. Time will tell if the Catalan giants can secure deals for the duo, with the report noting that Rabiot in particular is attracting plenty of attention with Tottenham, Juventus and Liverpool all specifically mentioned as being interested. Nevertheless, given his technical quality and playing style would arguably fit that of Barcelona’s perfectly, a move to the Nou Camp will surely be the most appealing option on the table. As for Todibo, the 19-year-old has made an impressive breakthrough at Toulouse after coming through the youth ranks. Capable of playing as a centre-half of defensive midfielder, he would be a crucial addition for Barcelona given their lack of quality depth in the backline.